A 24″ deep Georgian Porch shown with curved wirework brackets. 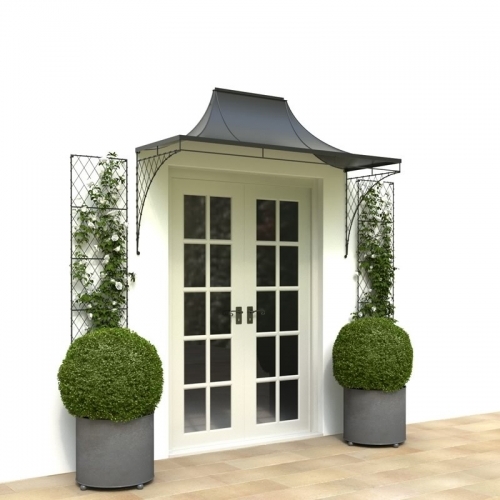 This design is the ultimate solution for wider front doors or when more character is needed over patio doors. Shown with wall trellis panels and circular planters. The curving roof shape and wirework brackets make this the perfect design for our doorway, it wasn’t the cheapest but I think it’s the best!